URS has a significant economic and social impact on the state. We provide retirement and insurance benefits to more than 200,000 Utah public employees and retirees and more than 470 participating employers. 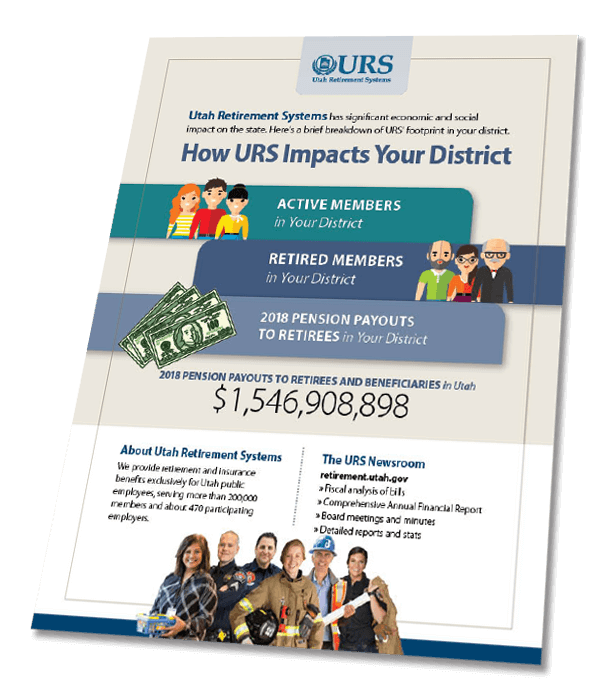 In 2018 alone we paid more than $1.5 billion to retirees in Utah. Click below to see URS' impact in your House, Senate, and Congressional district in 2018.